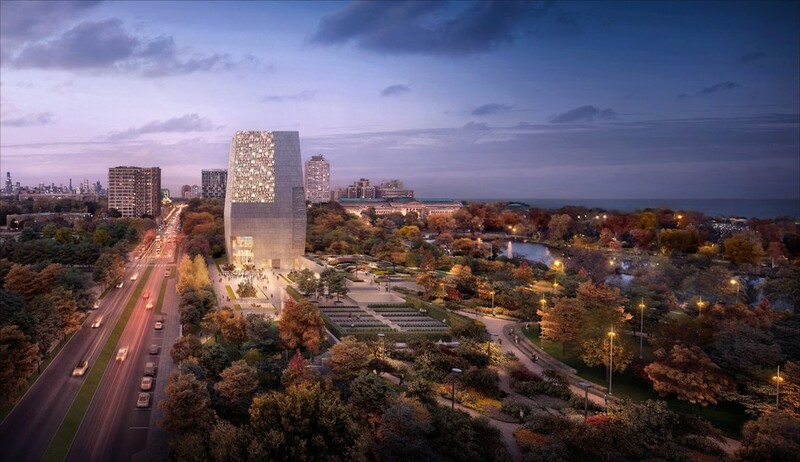 A federal judge ruled on Tuesday that a lawsuit aimed at blocking the construction of the Obama Presidential Center (OPC) in Jackson Park—a lawsuit once widely expected to be thrown out— can proceed. The ruling, a hit to the city and other backers of the OPC, comes as support for the lawsuit has grown. Protect Our Parks, the environmental advocacy group that brought the suit against the City of Chicago and the Chicago Park District, charges that the construction of the OPC in Jackson Park is an “illegal” grab of public parkland. It argues this because the OPC—which will not be an official presidential library run by the National Archives but instead a community hub—will be developed and run by a private organization, the Obama Foundation. The Foundation is not charged in the suit. In a hearing before federal judge John Blakey last Thursday, representatives of the City and the Chicago Park District argued that Blakey should dismiss the suit because the OPC, though slated to be privately developed and run by the Obama Foundation, would still be officially owned by the city. In October, City Council approved an ordinance that leased 19.3 acres of Jackson Park to the Obama Foundation for 99 years at a price of $10. If the OPC is eventually constructed, the city would officially own the OPC’s buildings, but the Foundation would be able to decide how to use and maintain the buildings during the 99-year term. When UChicago bid to host the OPC in 2014, it said that Washington Park out of all the proposed sites would be most “amenable to accommodate new businesses and investment” that would come with the arrival of the OPC because Washington Park is the least developed and most accessible by public transportation. However, the University also said that Jackson Park, though less favorable economically, would provide the University greater control over the OPC’s development because the University owns dorms and greenspace surrounding Jackson Park. When Protect Our Parks first brought the suit last year, many believed the suit would not gain much traction in court. UChicago law professor Lior Strahilevitz argued in a commentary in the Chicago Tribune that supporters of the OPC in Jackson Park would easily win in court. Strahilevitz and six other property law professors have filed amicus briefs siding with the city and Chicago Park District. By the end of January, Richard Epstein and two other UChicago law professors had filed amicus briefs in support of Protect Our Parks, opposing Strahilevitz. Epstein argued in his brief that the court should scrutinize the transfer of public land to the Obama Foundation due to potential conflicts of interest raised by former president Barack Obama’s “cozy relationship” with city officials including outgoing Mayor Rahm Emanuel, formerly White House Chief of Staff under Obama. Disagreement within UChicago faculty about the OPC’s location has extended beyond Law School professors. Nearly 200 University professors have signed a letter expressing concerns similar to those in the suit of the OPC’s slated construction on public parkland. Other professors, including biochemistry professor Erin Adams, have argued in support of the OPC’s proposed location in Jackson Park, saying that the OPC as a community hub will serve the public and represents a good use of parkland. The Obama Foundation has said it hopes to break ground this year. On top a possible delay due to the suit, plans for the OPC still await federal review, because Jackson Park is included on the National Register of Historic Places. The lawsuit filed by Protect Our Parks has the potential to hinder forward movement on the Obama Center.